For News & Events click here! 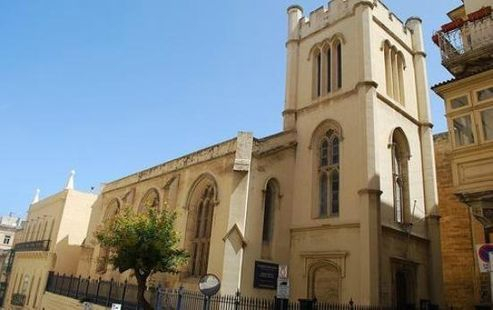 Sunday Worship at 10.30 a.m.
Perhaps you would like to visit us while enjoying a break in Malta. who we are, our life, our work, our events. The various missions we have founded or support are interesting, exciting, challenging on national and international levels. Please look at our mission pages. Shall you be interested in helping our missions, you will find a specific "donate button" for each one. please make your donation here below. 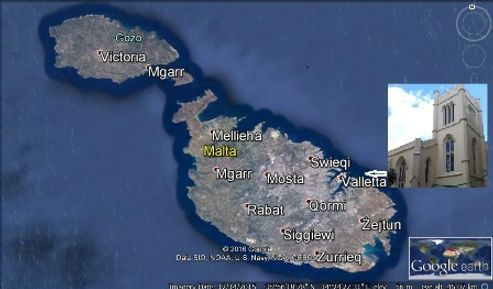 Serving Jesus on this crossroads island, and situated in the heart of the capital, Valletta. With regular worshippers from four – sometimes five – continents and from the widest range of Christian denominations, we are a truly international and inter-denominational church. The Church of Scotland – www.churchofscotland.org.uk . We are the only direct local partnership between these two churches in the world! Our ministers come alternately from the Church of Scotland and the Methodist Church. We worship in the Reformed Christian tradition, which will be familiar to visitors from most church backgrounds. It is always followed by a time for fellowship, friendship and refreshment. Services are in English, they are modern, simple, lively and focused on the Word of God. A typical service will include four or five hymns or songs, prayers for ourselves and others, Bible readings (usually by members of the congregation), a talk for children, and a sermon from our minister or guest preacher. This will usually be about 15 minutes, the whole service lasts for around an hour. St Andrew’s sees its work among the poor and marginalised as a vital part of our ministry. We run a Foodbank, Microfinance Company, English Language Classes and support missions in Malta and beyond including an HIV/AIDS community in Zambia run by a Maltese nun which we have been supporting for over 10 years.